Dr. Harry D. Clark was instrumental in founding the Pittsburgh High School for the Creative and Performing Arts (CAPA), the first public arts high school in western Pennsylvania, where he served as principal. Dr. Clark has served as president of the International Network of Performing and Visual Arts Schools, a professional arts advocacy organization with membership from schools across the United States and Canada as well as schools in the United Kingdom, South Africa, Australia and Chile. A prominent fixture on the music scene in the Pittsburgh region since he was drum major at North Hills High School (where he was honored with the 2012 North Hills Distinguished Alumni Award). 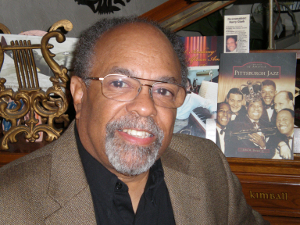 His Ph.D. in education, was awarded in 1977 from the University of Pittsburgh where he has also served for over 30 years as a member of the University of Pittsburgh’s Jazz Seminar Committee. His recent activities include work in support the African American Jazz Preservation Society of Pittsburgh (AAJPSP); a board member of Kente Arts Alliance and co-president of the Lighthouse, Inc (A Beacon for America’s Original Art Form). Paquito D'Rivera, as recorded at the Manchester Craftsmen’s Guild with the UN Orchestra. Pittsburgh natives Erroll Garner and Ray Brown, the latter as featured with Oscar Peterson. Plus, the founder of the Jazz Studies program at Pitt, Dr. Nathan Davis. Harry Clark, with sound and stories on the MCG Jazz Spotlight, 6pm Friday and Sunday on WZUM.